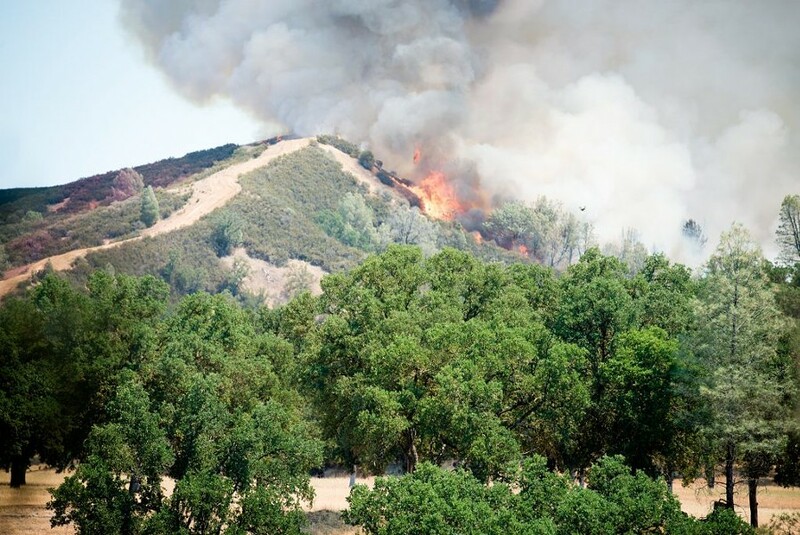 Fire breaks over a ridge at the Pawnee Fire last week. Calfire states in a tweet that Highway 20 is now open after the Pawnee Fire forced closures: "The California Highway Patrol has removed the road closure at State Route 53 and State Route 20 in Lake County and at State Route 16 and State Route 20 in Colusa County. State Route 20 is open to through traffic." Caltrans is reporting that sections of Highway 20 will remain closed between State Route 53 and State Route 16, at least until 8 a.m. on Monday. According to a Calfire report at 9:35 p.m. Sunday, the Pawnee Fire in Lake County is now at 14,500 acres but remains at 73 percent containment. “The Red Flag Warning has expired however conditions remain hot and dry and winds remain erratic. The fire is capable of making sustained runs due to the type of fuels and topography. An immediate threat exists to the community of Double Eagle,” the report states. The fire, which began June 23, is now estimated for full containment on July 5. The cause remains under investigation. For up-to-date information, visit the Pawnee Fire incident page here. Road Closures: Mule Skinner Road and Highway 20, Walker Ridge Road and Highway 20, Highway 20 between Highway 16 and Highway 53.